April Frost is a compassionate young woman with a steady job and ambitious goals. But the harder she runs away from her past, the more it threatens to destroy her. When three strangers enter her life, April is forced to face her demons, and it's a battle she may not win. Private investigators in the Breed world are men who take risks, and Reno Cole is no exception. As a Shifter, he's expected to control his inner animal. But lately his wolf has been venturing dangerously close to the city, and he's about to discover why. When Reno is reintroduced to a family friend, the attraction is immediate. April captivates him with her secretive eyes and resilient spirit. She's also in trouble, and despite the fact that she's a human, Reno can't turn his back on her. I can’t remember the last time I was as annoyed with a leading lady as I was with April Frost. One moment she wants a hero to rescue her, then she wants to do everything herself. She was such a contradiction that her character didn’t make a lot of sense or any good decisions. 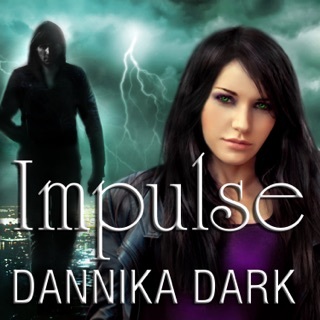 It was almost like Dark tried to make her a strong independent woman but then failed at it irrevocably. Because a strong independent woman would never agree to be a man’s pet regardless of the situation. I was really looking forward to continuing the series after book one; however, book 2 was bordering on too descriptive and I really just kept waiting for it to get better and it never did. Unfortunately, this gets 1.5 Boundless Stars, it was very meh and it really could have been better. Soooooo good ... Beautifully written. I was hooked! Nicole Poole is also an excellent narrator!